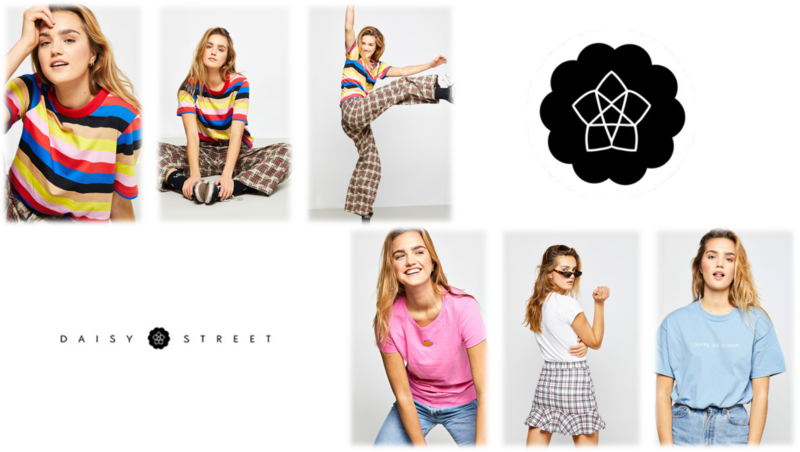 Young fashion womenswear label Daisy Street has relaunched this week, to tap into the popularity of athleisure and streetwear and it features our very own new face Rose. The brand’s handwriting was previously quite feminine and girly. The new collection features oversized T-shirts, sweatshirts and cami dresses. The price architecture has also been stretched. Retail prices now start at £7.99 and range up to £59.99. Previously prices went from £12.99 to £49.99. The Daisy Street website relaunched on 21 November and features a bespoke T-shirt centre that allows shoppers to create their own designs. It also has an interactive blog page that includes comments, advice and videos from female skateboarders Becky Jaques, Connie Gascoyne and Dina Hein-Hartmann. Head on over to the Daisy Street website [HERE) to see all the new AW18 streetwear and of course see our girl Rose doing her thing and looking amazing.